Surveys show that three of every four Americans approve of legal hunting, and support is trending upwards. As long as the majority of citizens continue to see this sporting tradition as fair, safe and meaningful, hunting will remain a privilege of citizenship--as well as a boon to conservation. For hunters headed afield this fall, the Boone and Crockett Club offers 10 ways to help keep the public on our side. 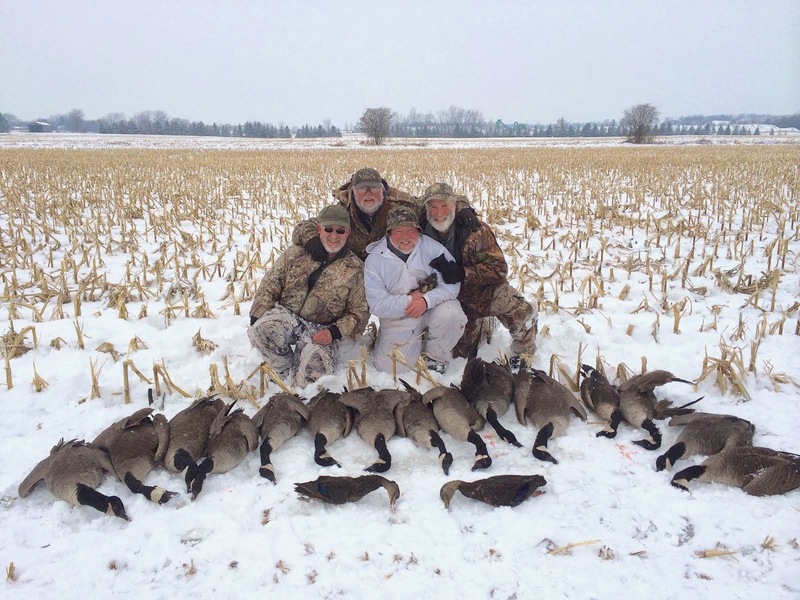 "Modern society has high expectations of hunters," said Ben Wallace, president of the Club. "In a changing culture with ever more scrutiny of all things related to the environment, our behavior toward animals, the land, firearms and even each other is more important today than anytime in our history." Hunting is allowed today because the vast majority of hunters through the ages have respectfully followed laws, regulations, safety rules and high ethical standards known as fair chase--the sporting pursuit and taking of native free-ranging game species in a manner that does not give the hunter improper advantage. Continue the tradition. Remember: Any animal taken in fair chase is a trophy. America's system of conservation and wildlife management is the most successful ever developed. It works only because of funding from hunters. Spread the word. Respect the customs of the local area where you're hunting, including the beliefs and values of those who do not hunt. This season, make every attempt to take a youngster hunting. If you already hunt with your son or daughter, invite one of their friends to come along. Technology is a wonderful thing until it replaces the skills necessary to be a complete hunter. If it seems gratuitous, leave it at home. Always ask permission before hunting private land. Respect landowners. Tread lightly, especially on public land. ATVs have their place--on roads and trails. If you pack it in, pack it out. Sportsmen have always been instrumental in managing big game herds. 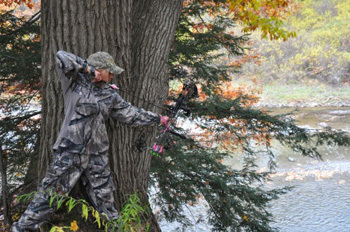 If antlerless harvest is encouraged in your area and you have the opportunity, take a doe or cow. Remember: The reason for a hunt is intrinsically about the experience. A kill is a justifiable outcome but not the only definition of a successful hunt. Theodore Roosevelt founded the Boone and Crockett Club in 1887 to help uphold sporting values and promote science-based conservation and wildlife management. Surveys by research firm Responsive Management showed that 73 percent of Americans approved of hunting in 1995. Support had grown to 75 percent by 2003, and to 78 percent by 2006. I would add something to that list: Talk about hunting with non-hunters. I think it's important to be proud of what we do. I hunt for the meat - the best meat in the world - and for the joy of hunting, but in the process, I also take one more customer from the factory farms and put a TON of money into habitat for ALL wild animals. I have had a LOT of conversations with urban people who've never met a hunter, and I leave them with a perception that has changed for the better. They may not take up hunting, but they won't assume that hunters are a bunch of bloodthirsty inconsiderate fools. The last comment of a kill being a justifiable outcome but not the only definition, is what the hunting industry does'nt sell. Talk with wisdom and true heart. Great points by all! Hunters funding conservation is like loggers funding the forest. Funding for "ALL" wild animals is misleading. There are some benefits to non-game species but it's mostly a side effect of the funding of game species. "Wild" is nothing more than a big free range farm. Holly - you are right on about talking to non-hunters. When I was flying a lot, I was pleasantly surprised at how many seatmates were very interested about what hunting is all about. Anon Aug 24 - You may have a point that some folks would not fund conservation unless forced to - but the proof is in the pudding. North America has the healthiest and most numerous native animals in the world. Most of that is thanks to hunters. Eric, I would add that many of us non-hunters would love to see a funding program that emulates duck stamps and other hunter-assessed fees. But there is resistance in the system to changing the funding structure. As such, it's a bit of a misnomer to suggest that it's hunters who fund conservation efforts. 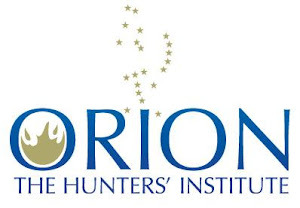 Yes, it's true to the degree that hunting fees support various programs and restoration efforts. But it's not the whole picture. And, us non-consumptive "users" of wild lands outnumber hunters. Birders, photographers, wildlife observers -- many of not most of us would appreciate a tax on camera equipment, a non-hunting duck stamp, and other means to equal the funding structure a bit toward our interests and toward the preservation of non-game species, as anon August 24 suggests. I speak for many when I say we are frustrated by an entrenched funding system that does not always take our preferences and interests into account. I find that hunters like to use this bullet point in support of hunting, but when the idea of alternative funding comes up, even if the income would be considerable, quite a few walk away from the table when faced with losing that financial power. Ingrid - I have run into that resistance to broader based funding for wildlife also. For some of these resister groups and individuals it is the golden rule, "The one with the gold, rules." My experience is that this resistance is weakening. For example here in Vermont we have a strong coalition of wildlife, hunting and green groups (the Vermont Wildlife Partnership) that is unified in it's support for broad based funding for the Fish and Wildlife Department. Several years ago there was a national effort to bring in outdoor related gear to the federal excise tax to fund wildlife (Working for Wildlife) Although there was some citizen support it was strongly resisted by the likes of LL Bean, optics sellers and backpacker suppliers. Consequentially it was killed. Maybe that resistance is fading and we should try again after the economy recovers. In Vermont we are looking to a small percent of the sales tax to be dedicated to funding the FWD similar to the MO model. Indeed, those are great points for hunters to review. It's all about respect. As long as we respect the local customs, tradition, and also the animals, this hunting activity should also be respected and go on. I really enjoy the moment I hunt and had a deer camp with friends. say yes to legal hunting ;)!